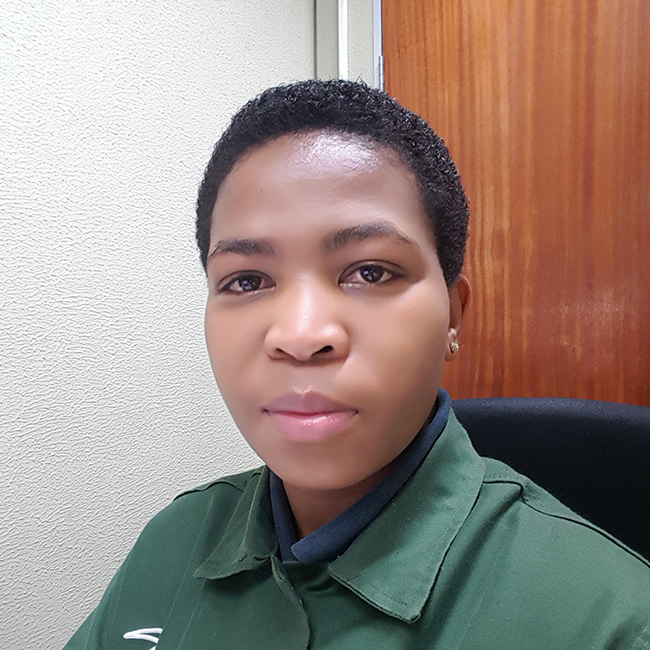 Maud enrolled in our Water Efficiency Management course in Johannesburg, in June 2015. How did you find out about Terra Firma Academy? What drove you to search for training in the first place? I wanted to strengthen my career skills, expand my knowledge base so I can work confidently and independently with minimal supervision or dependence on senior colleagues, for improved and competent performance. To hold a leadership position and be confident and satisfied towards my job in this competitive industry. I was curious to find out about other new technologies, what are other companies doing, e.g. : topics like “water shedding” (drought areas in the country), “going green” (eliminating water pollution) where can I and we make a difference, with our knowledge as experts. What was your expectation of the training, and was it met, superseded or not quite what you expected? The training met my expectations, although there was not much I can change in my organization. Have you done any similar short courses, and if so, how did they compare? Yes, with few of the role players in the Water Treatment Industry, WSSA, Buckman Africa & Nalco. Terra Firma is more relaxed atmosphere to gather knowledge, as they are not marketing themselves, since they are not in the business of water treatment. What is your success story – how did the training help you achieve your goals? My story is still being written, training helped me realize that I need to add expertise to experience, 10 years’ experience of routine is not a clever way that’s not how you become outstanding. Have you managed to use the learning and insight you gained from the training in your job? Initially yes; however – as mentioned before, the course is lacking more practical training (especially in identifying the emission sources in various types of facilities). The course assisted in understanding and conducting the footprint calculations. Did the training you did come up in your job interview? Am still in the same job position, with bigger responsibilities now. Now that you have experienced the benefits of training to ‘get ahead’/find a job, what is your next step in terms of your career? It’s time for me to top up my skills, I am seeking further training and development, a new role to take advantage of opportunities to determine exactly what the industry needs. Though partly I feel water treatment is too saturated, I am also considering Environmental Management.